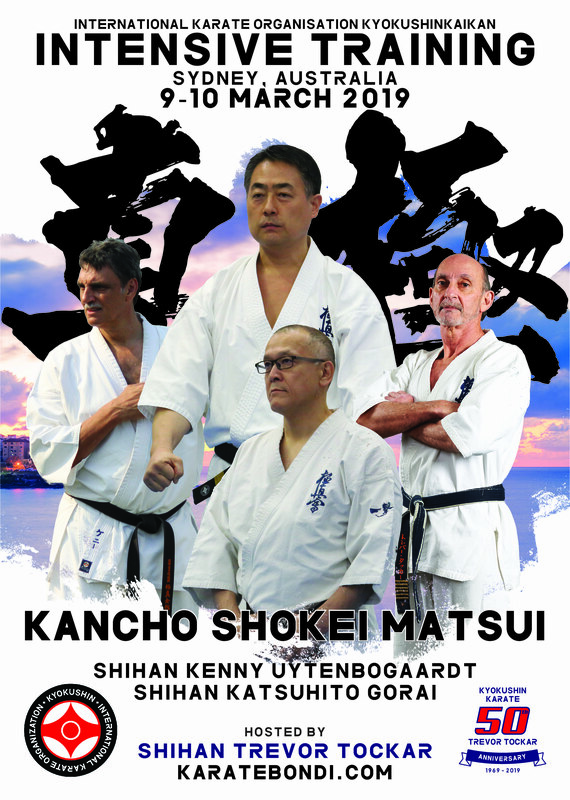 The registration for our 2019 Intensive Training with Kancho Matsui is now OPEN. The closing date is 22 February for registration and payments, no late registrations or manual registrations will be accepted. ~Registrations open to all ADULTS and TEENS (of all grades), as well as KIDS aged 8-12 years (green belt and up). Guests/non-Kyokushin who are attending the function can email me directly for tickets. NB: you will be required to enter your IKO/Black belt card number for registration. Osu and looking forward to seeing everyone in March.